Stylish yet modern, the PURE serving trolley collection gives the exclusive ambience of high-order catering with special flair. The cleverly-designed range of a total of nine models will make your guests feel special when being served at the table. The modular construction makes it possible to adapt the design to your individual preferences, and the different design variations give you flexibility to create an individualised atmosphere. The ROYAL collection boasts serving trolleys in a design that does justice to the name of WMF's upscale series. 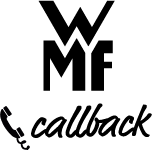 The various serving trolleys and attachments made of dark-pickled wood and coated with waterproof varnish are ideal for use in a refined, fine-dining setting. Mahogany, the dominant colour, is accentuated by brass handles while the wooden elements are made of beech veneer. 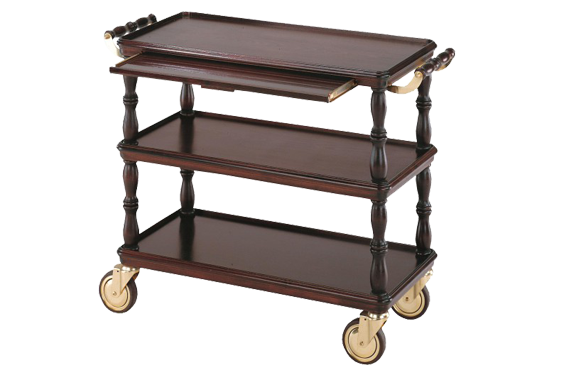 In addition to the traditional serving trolley, the series also contains special products like tea and dessert trolleys. 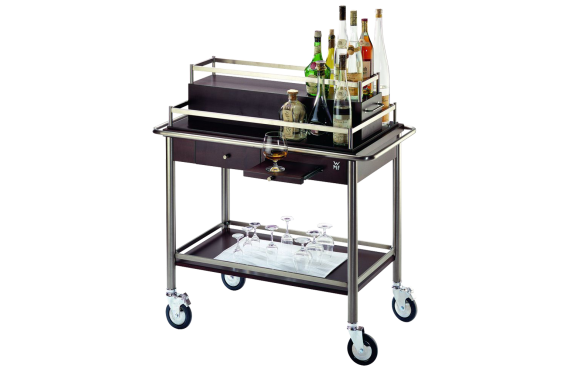 The RONDO collection comprises serving trolleys and matching accessories for discerning tastes. These stylish serving trolleys made of high-quality materials come in three shapes, and the choice of different attachments opens up a number of possibilities to individualise your trolleys. 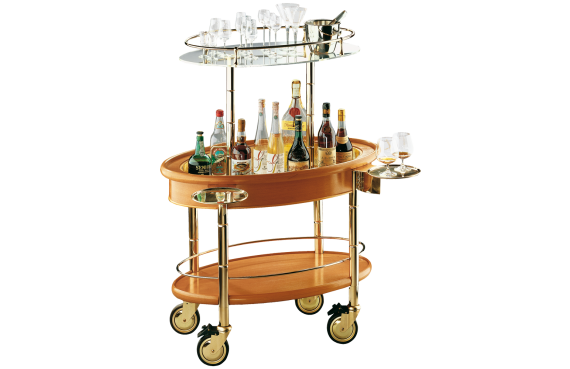 When serving or preparing foods and drinks, these trolleys are sure to turn heads, not only thanks to their eye-catching appearance, but also the functions they offer. Inserts made of bird's-eye maple wood veneer have a varnished, waterproof surface.